CEOCFO: Mr. Sengupta, what is the vision behind NXTKey? Mr. Sengupta: The vision behind NXTKey is to provide a value-add “As A Service” platform for commercial and government customers. We are traditionally moving away from the typical staff augmentation model to provide more of a solution-based approach that is more in line with customer needs and meeting their cost effective expectations. CEOCFO: Are people looking for this level or is it still the case that many people do not understand the value of a “As A Service”? Mr. Sengupta: Many of our customers are in the federal government space looking for a comprehensive Service as a Solution, rather than staff augmentation model. We have found many of our customers would like to get a complete team to address a particular requirement, compared to hiring a bunch of bodies who are not cohesive while working together. That cohesiveness as a team is what drives efficiency while addressing a particular problem, and is the differentiator that NXTKey provides. CEOCFO: You also mentioned government as well as commercial customers. Who are your typical customers? 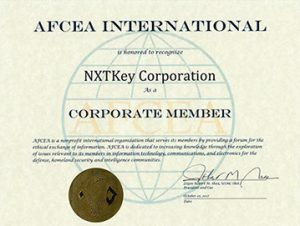 Mr. Sengupta: In the commercial space NXTKey provides services to large and medium sized corporations primarily in the Enterprise Information management Space. These companies are in Healthcare, Banking and Manufacturing space. In the government space we have federal agencies and state government agencies who look to us to providing multiple levels of service. The first is our core competency in the cyber security space, enabling NXTKey to provide a comprehensive cyber security solutions and operation teams. The second core competency is in the enterprise information management space where we go in, understanding the particular challenge and providing the customers an understanding of what solutions exist out there putting ourselves in as one of the offerings for the range of solutions being presented. The third core competency is Information Communication Technology consulting where we provide top rated consultants to work on complex and challenging consulting projects. NXTKey provides our customers with the flexibility typically not provided by a traditional service provider. CEOCFO: On your website it indicates a full range on mobile as well as open source. Are you covering all fronts? Mr. Sengupta: NXTKey has four focus areas: cyber security, enterprise information management, ICT consulting and enterprise content management. These are the four cornerstones of NXTKey from a service perspective, that are delivered through various technologies, whether this is cloud, mobile, open source or managed services. While technology is a part of every solution we deliver; we are a solution-focused company. 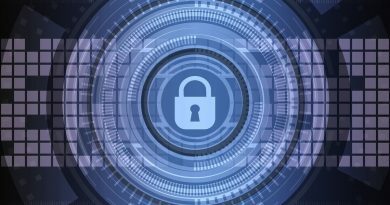 CEOCFO: Why was this the time to add cyber security? Mr. Sengupta: From 2015 onward we have seen two very important areas of growth and NXTKey has made a conscious effort to go out and acquire customers in these areas. One is cyber security and the other is Health-IT. One way to ramp up was to acquire a company that had both of them. Starting on the ground floor to provide cyber security and have the competency to provide that effectively would be very challenging. That is why we went after an organization that has over a decade of experience in cyber security and acquired them as the first step. The second step is going to come up in the next 6-12 months where we are identifying a company in the Health-IT space. CEOCFO: How do you stay ahead of all of the changes? What is the key to being on top of all you need to know? Mr. Sengupta: In my opinion the key challenge is that many people out there are chasing squirrels. For example, in cyber security there are about 30 odd core cyber security skills, and most people in the space going after all of them. While everyone should be open to all opportunities, the focus area should be restrictive to 3 or 5 at most. What I have done all of my life is focus and create a priority or a strategic goal of 3 to 5 strategic goals for the year and pursue that instead of a broad focus. CEOCFO: How do you reach out for new customers? How do people find NXTKey? How do you standout? Mr. Sengupta: The NXTKey philosophy for business development is based on building long-standing relationships with customers, employees, partners having a solution oriented approach to solving customer dilemmas. NXTKey actively participates in forums and working with potential partners at various vendor outreach events that happen throughout the year. We are proud of our long-standing relationships with customers and look forward to developing new ones in the years to come. 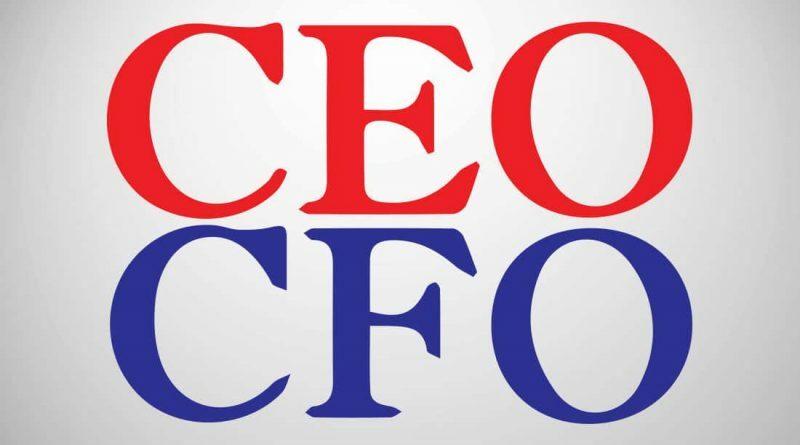 CEOCFO: NXTKey was recognized as One of the Best and Brightest Companies. What does that recognition represent? Mr. Sengupta: The recognition comes from over ten years of stellar service performance in all the four practice areas to some of the largest federal and state government customers. This has come from delivering value and efficiency to our customers that they have not seen from other vendors. This focus towards providing value-oriented services has directly resulted in year-over-year growth over the last few years. CEOCFO: What surprised you as NXTKey has grown and evolved? Mr. Sengupta: As a first time entrepreneur it is very important to having an open mind about what are the products or services you are going to focus on. One of the biggest surprises for me has been how the initial plan of the company was to focus exclusively on EIM has evolved into a suite of offerings that was never conceived at the beginning. This has happened due to multiple reasons some of which include being opportunistic while addressing specific customer needs and others including being educated by the marketplace on where is the next big wave of innovation or customer demand going to come from. CEOCFO: What surprised you about technology and what can we do now that seems to be ahead of the time? What is your take on the state of technology today? Mr. Sengupta: Having been in the technology space for over two decades the largest driver that I see is a solution-based approach compared to a technology-based approach. The difference is ten years ago we used to make sales calls and say, “We have 1,000 people who are Oracle certified, 10,000 who are .net certified”, and that would get us to business. Today, it is more about providing the end-point solutions. For example, we provided ICT consulting services to a major utility company serving a city with population of over 10 million that helped them leapfrog out of a decade old technology command and control platform to the latest in smart city infrastructure which will help them save millions in operational cost over the next couple of years. This was possible due to the expertise we bought in integrating various best of bread smart city technologies to work together in a cohesive way to provide tremendous value that will help the citizens of this city. To answer your question specifically, it is not really about specific technology, but more about how you implement the technologies to give the customers the end result that they are looking for. This is because people are looking for outcome-based delivery, versus just pure play delivering Oracle licenses or Microsoft licenses or 20 developers. That is not the game anymore. If you look at the trends with respect to the largest technology companies, which are more or less based in India, their growth has slowed tremendously in the last 5 to 7 years because of the exact same reasons, which is because they have grown over the last 15 years by providing staff augmentation services to their customers. Today, customers are looking for solution-based services, which is why small businesses in America, like NXTKey, are widely accepted or preferred for providing these solutions. CEOCFO: Put it all together for our readers. Why choose NXTKey? Mr. Sengupta: The primary reason anyone will choose NXTKey is because of the testimonials that we have from our customers that have consistently shown that we are able to go above and beyond to satisfy the needs of our customers. 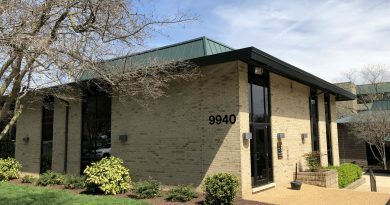 Number two is that we provide a very one-on-one relationship model where besides me as CEO having three of my key executives who provide time on the projects, thereby showing our commitment towards the services we offer, versus outsourcing it to third party contractors, which is typically what most small businesses do. And finally our track record of being a result driven organization that has delivered significant value to our customers. This can be seen from one cyber security engagement where we remediated over 2 million vulnerabilities on the customer applications, servers and workstations in the last year alone.